Submitted by Jason Horton on Aug. 22, 2017..
93 out of 100. Incorporating 200+ ratings and reviews. To reduce handling noise the Shure SM86 has a three-point shock mount and it has an internal windscreen which effectively reduces wind and breath sounds. An often repeated statement in positive reviews of the SM86 is that it is "crisp and clear". Almost everyone who upgraded from an SM58 to the SM86 were quite impressed with how much brighter they sounded. Many also report that they are impressed with the sound they get when recording with this mic. Some singers in loud hard rock bands report problems with bleed and feedback. Some owners who had been used to the SM58 before getting this report that it is not as rugged as the SM58. 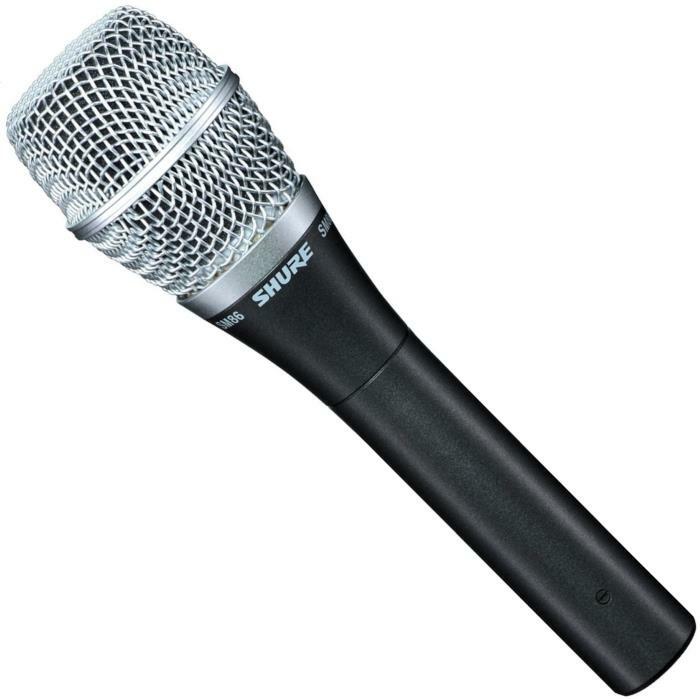 Shure designed this mic to take on the road so if you look after it you shouldn't have problems with durability - and that claim is backed up by most customer reviews, just remember you can't throw it around like you might with the SM58. If you really like the Shure brand and want to take a step up from the SM58 then this is a good mic for you. NB - This is still the same great vocal mic that it was when we recommended it up until August 2017, the only reason it dropped off our list of recommended live vocal mics is because there are now more highly rated options which you can see in our guide to The Best Live Vocal Mics.